COMPLETED HOME- MOVE IN READY-located in Davenport! Zoned for CELEBRATION HS. Located just off SR 429 and tons of shopping/dinning on 192. Beautiful resort style amenities! Beach style pool, oversized Cabana, Tot Lot, Dog Park and Picnic Area provide year round entertainment. HOA includes internet/cable/phone. 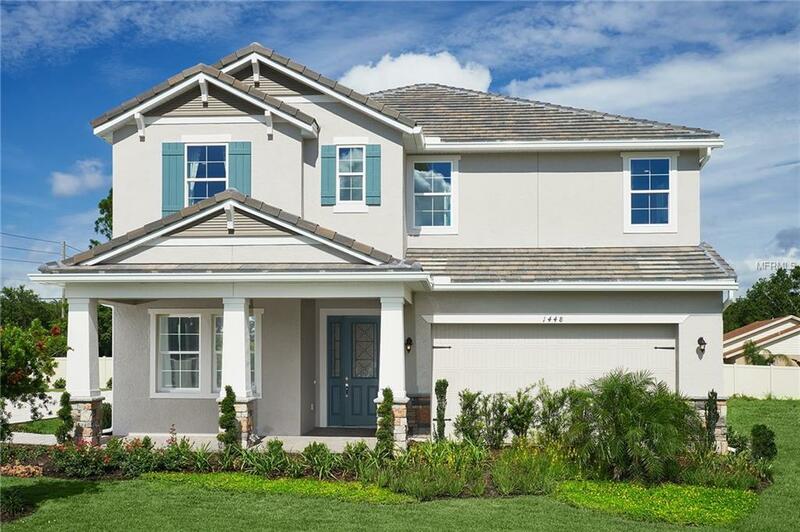 The Michelson is a two story home with everything you could want, from an open concept layout to a THREE CAR tandem garage. 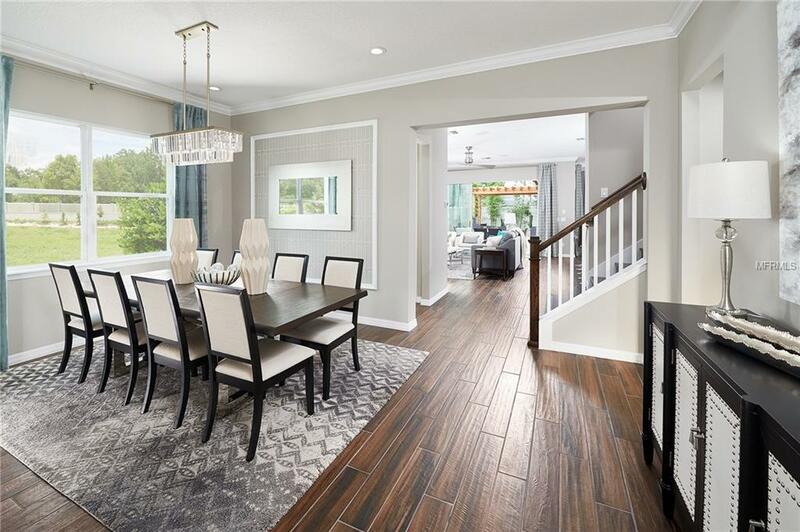 As soon as you walk in, youll see a nice sized office and separate formal dining room. The entire open common first floor has large 18x18 pale gray tile anchored by the nicely appointed gourmet kitchen. 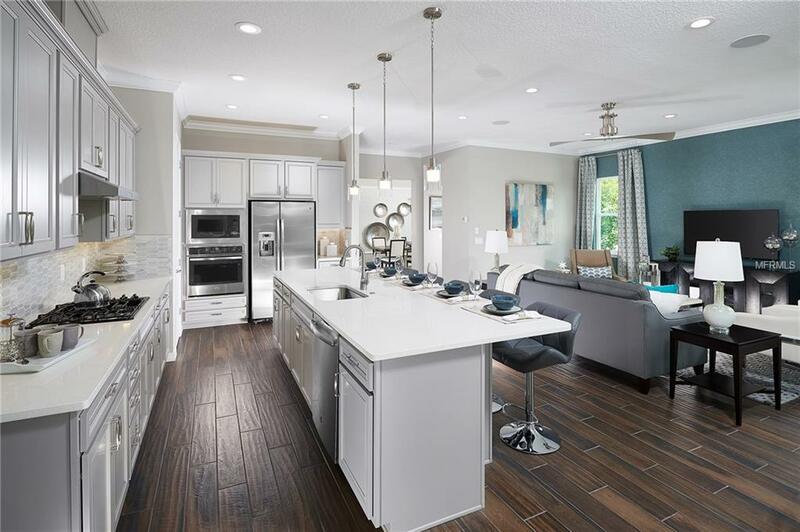 It has all stainless-steel appliances , 42" modern espresso cabinets, granite counters and range. 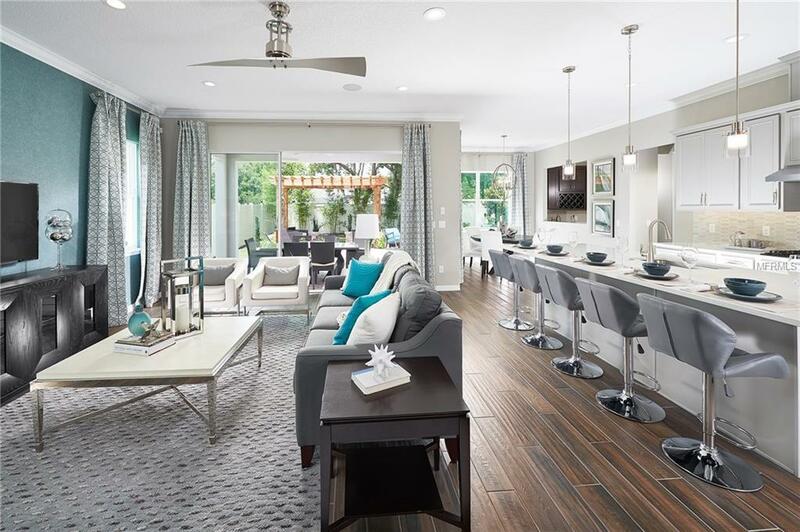 For those who love to entertain, there's ample room on the oversized lanai and 12 FOOT sliding glass door, perfect for hosting family and friends. As you ascend the wood tread staircase, you come to the OVERSIZED owners retreat, 280 SQFT, and has the perfect touches. As you walk into the owners bath, you'll see the extra long 12 vanity, frameless glass shower and generous linen closet. In the back are large walk in closets with two seperate sections. Just down the hall from the owners you see the large loft, perfect for the family or tv room. FOR LIMITED TIME if buyer elects to use builders preferred lender and title company ALL APPLICABLE CLOSING COSTS will be paid at closing.